Lots of compliments on these boots. I love them. I am a hairstylist and I have worn them three times for work. They are not that comfortable but I think I need to break them in and then decide. Q: How are these supposed to fit? Like the clogs? I received my pair in the mail today and they do definitely slip on my heal, but maybe that's by design? Or do I need a smaller size? 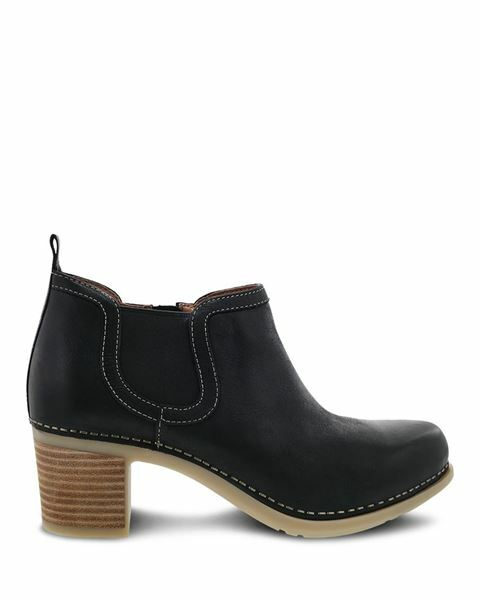 The Harlene a little different than our clogs with more of a stacked heel. The upper on this style is more form fitting, however the heel will move up and down slightly. If you feel like your foot is sliding forward, this would indicate it maybe too large. The arch should fall in line with your arch.